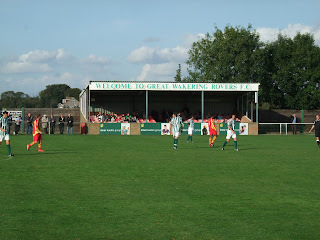 Great Wakering Rovers are my local club. Despite my commitment to Southend I try to visit Burroughs Park whenever possible. If ever you should visit the Rovers you are guaranteed a warm welcome. They boast a lovely little ground with a well-stocked clubhouse. But despite my own particular feel-good factor towards the club, I think it’s fair to say we didn’t get off to the best of starts! My earliest memory of our paths crossing was back in early 1980. I was just starting out in junior football with Leigh Rangers. One of my first games was against the Great Wakering Colts. Although the game was only a friendly, extra spice was added when Sharon Batchelor, the unattainable ‘hottie’ from King Edmunds School class 1ct turned up on the touchline to watch her brother play against us. Despite my wholehearted efforts, which included playing with my shirt outside my shorts and socks rolled down to look the part, and indeed setting up a goal (albeit with a miskick) Sharon was unimpressed. In fact she took little or no notice of me for our remaining four and a half years at school! My next meeting with the Rovers was equally unsuccessful. I was by now playing for Brooklyn Sports in the Second Division of the Southend & District League, and although only an average player, I did have a bit of pace. This particular Rovers team were struggling towards the bottom of the League and were mainly made up of the club’s elder statesmen. I remember looking at the ageing full back and rubbing my hands at the prospect of running him ragged. At the first opportunity I sped past the grey-haired defender close to the touchline only to be tripped over by one of the many vocal spectators who had arrived fresh from an early afternoon bevvy session in the pub. The rowdy crowd roared with laughter – and so, to my abject disgust, did the referee, who waved the game on! Local men who had recently been demobbed from the army following the atrocities of the Great War founded Rovers in 1919. Work in the area was sparse, some found positions as farm hands and others at the local brick works. Football gave them something to rebuild their lives around. A sense of somewhere they belonged. 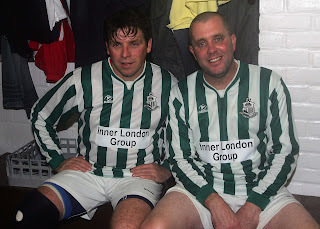 They soon became one of the most successful teams in South East Essex football. They would often draw big crowds to watch Southend & District League matches at Great Wakering Recreation Ground, particularly when teams from nearby Rochford or Shoebury were visiting. Rovers’ senior teams played at ‘The Rec’ until 1988, when they started work on the adjacent Burroughs Park. The ground was formerly a plot of disused allotments. The club set about turning them into a football ground. I remember playing in one of the earliest games on the new ground when Brooklyn visited Rovers 3rd team for a pre-season friendly match. We got changed in a portacabin in the North-West corner of the ground – the small room was full of building equipment and the Brooklyn lads bemoaned about the less than comfortable facilities. As the visiting team Brooklyn were asked to donated £10 to the Rovers with the money being set toward the development of the ground. It proved to be money well spent, as today Rovers boast one of the best grounds in Isthmian League football. The move to Burroughs Park saw the club elevated from the District League to the Essex Olympian League and in 1992 they gained their senior status and joined the Essex Senior League. The club celebrated the achievement with a prestigious pre-season friendly match against a Leyton Orient XI. A crowd of around 500 saw the teams share the spoils with a 1-1 draw. Rovers next two home fixtures were equally as eventful. The next visitors were the newly merged Dagenham & Redbridge who boasted a number of England semi-professional internationals. Rovers proved to be no match for the Daggers who won by eight goals to nil. 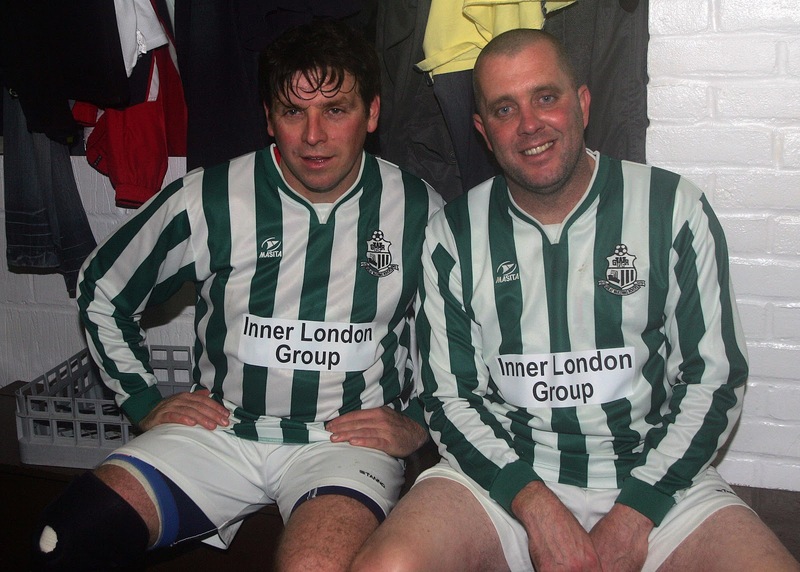 The goalfest continued a few days later when a Southend United XI and Rovers drew 5-5! Rovers progressed through the Essex Senior League and became members of the Isthmian Football League and briefly the Southern League. During this period the club achieved little in the way of success although in 2007 they made it through to their first Essex Senior Cup Final. 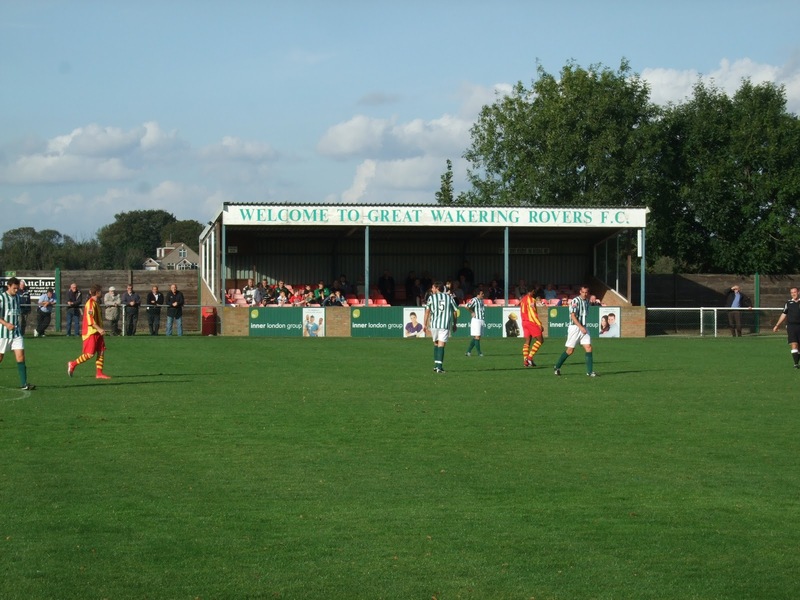 Great Wakering reached the final following some notable victories. Both Thurrock and Dagenham & Redbridge were defeated at Burroughs Park while Aveley were dispatched unceremoniously in the semi final. Around 1200 people, many from the village, flocked to Southend United’s Roots Hall Stadium to see Rovers take on AFC Hornchurch. Sadly the Rovers lost by the odd goal in three. From a personal point of view Great Wakering Rovers Football Club have a special place in my heart. I have served them as a programme contributor, and worked in the commercial department as well as being a supporter and a player. Ok so my lonesome appearance in a green & white shirt was for Rovers Reserves in an Essex & Herts Border League fixture away at East Thurrock United. But I was called for as a second half substitute with Rovers trailing 0-5, and I’d like to think I made a difference as I set up a goal and we won the second half 1-0! Much to my Dad’s disappointment my professional football career never really took off (at all!) However I did appear for a Charlton Athletic Legends XI in a charity match that took place at the Rovers Burroughs Park ground. Sadly Dad was long out of this world, so he never witnessed my one and only appearance for a Football League club. In fact I was not the only person to benefit from Charlton’s lack of numbers that night. My best mate Ed is to say the least a big chap. His playing role these days is limited to appearing in goal for our ‘tour’ team. However, when offered the chance to anchor the Valliant’s midfield for one night, the big man stepped up to the plate and rolled back the years. Ok, so the game didn’t go quite according to plan as we lost an eight-goal thriller, 7-1! But sit Ed and I in front of any televised Charlton Athletic match and the topic of conversation soon turns to the lack of creativity in the heart of their midfield! The home of Great Wakering Rovers might well have given me my one and only appearance with a big club, but it also produced one of the most heart stopping moments too. The beauty of many grounds such as Burroughs Park is that the kids can run about and from almost any vantage point you can keep an eye on them. During one particular match my eldest son Alfie slipped out of sight. In a blind panic I searched the ground but to no avail. The club even put out an announcement over the tannoy. By now I had most of the crowd (112) looking for him. After some ten minutes a lady found Alfie hiding under one of the seats in the grandstand. It’s a brisk Tuesday evening in early September 2008 and the Rovers have a home league fixture with local rivals Tilbury. Wakering have made a poor start to the season, however, they seem to have something of an Indian sign over the Dockers so hope springs eternal. The committee give up their time working tirelessly behind the scenes so that the ground and clubhouse look smart and are well stocked. Programmes are kept as up to date as club stalwart Nobby Johnson can possibly make them. Meanwhile the staff in the tea bar are busy producing the best food in Essex non-League football. On the pitch the players duly compliment the hard working backroom team by picking up their first League victory of the season, beating Tilbury by two goals to nil. Only 106 spectators have made the effort to venture along. In many cases up and down the country, the vast majority of the British football supporting public treat non-League football with apathy. Strangely the very same apathetic fans will be found heading the queue for tickets should their local team pull out a plum FA Cup tie. Great Wakering is little different. In a village of some 6,000 people only an average of 100 make it along on a match day. For all the hard work that has gone into organising the Tilbury fixture the huge spaces on the terraces and in the stand make you wonder if it’s all been worth it. But really, if it’s an honest football match you want, with 100% committed players, a programme and a pint for around a tenner, for me the likes of Rovers win over Premiership prima donnas every time. A chance for me to pull on a Rovers shirt with former Birmingham City, West Ham, Liverpool and England legend Julian Dicks.